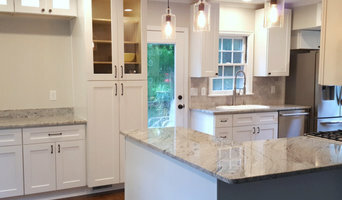 We are proud to offer full-service interior and exterior home remodeling and renovations with a special emphasis on acting with integrity and achieving the highest levels of accuracy and quality. We're proudly founded in Raleigh, North Carolina as the area's premiere remodeling company. We were founded on one simple belief - better homes make better lives. 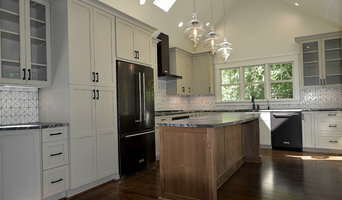 Klein Building & Design is a locally owned and operated company. We are a fully licensed general contractor who can assist with any of your building and remodeling needs. *Authorized Dealer of Shaw Floors* Welcome to Terry’s Floor Fashions where we have been providing high-quality flooring solutions to residential and commercial markets since 1966. Today we are listed as the sole source for Shaw Carpets. And we are recognized as one of North Carolina’s premier floor covering companies. We’re known for offering the industry’s most respected names in floor covering products and services. Our spacious showrooms display sample after sample of stylish carpet, ceramic tile, hardwood and vinyl products that will cover any flooring need—not to mention a fantastic selection of area rugs. Our partnerships with the top names in the industry help sustain the reputation we have for providing and installing the finest products. Let’s build a relationship! Whether you need light fixtures replaced, complete remodeling, or new flooring, Sole Source Solution employs skilled craftsmen and tradesmen to ensure that every job is done to your standards! Through the use of high quality materials and equipment, professional people, and outstanding customer service, we’re determined to give the customer a beautiful hardwood floor that lasts a lifetime. By providing small handyman services, home additions, remodels, & new custom home building, we grow with our clients year after year. *Authorized Bona Certified Craftsman* Green Step Flooring, Inc. provides quality hardwood flooring installation and dust free hardwood floor refinishing in Raleigh, Cary, Apex, Durham, Chapel Hill, and Holly Springs, NC. As a family-owned hardwood flooring contractor in the Triangle since 2002, we strive to provide convenient service, professional craftsmanship, and family-friendly wood floor products that are safe for kids, pets, and the environment. Eco-friendly practices are the new standard in every industry, and we deliver environmentally safe hardwood floor refinishing to you by using the most advanced dust free floor sanding and refinishing equipment available. We also use hardwood stains and finishes that are GreenGuard Certified and eco-friendly, your pets, children, and household safe from harmful dust and fumes. EASIER, CLEANER, SAFER, and more consumer friendly are our goals for the years to come. 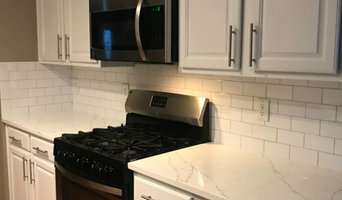 We have earned a strong reputation in the Triangle because of our willingness to work closely with every customer to capture the look and feel of their dream floor. When you contact us, your call or email will be answered by the company owner, Janar Tsaro. All hardwood flooring estimates are provided promptly on site and explained in detail so you can be confident that you'll be getting the best products and a fair price with no hidden costs. Call us for a free estimate today for your hardwood floor refinishing and hardwood flooring installation needs and join our growing list of satisfied clients.